Watches are an essential piece of every man’s wardrobe and a rite of passage for any young man entering adulthood. 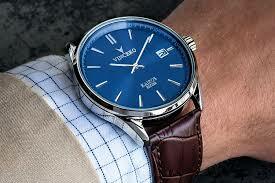 A strong watch can even have the power to breed confidence at an important meeting or job interview. But in a market that can set you back thousands, there’s definitely something left to be desired when it comes to watch shopping. 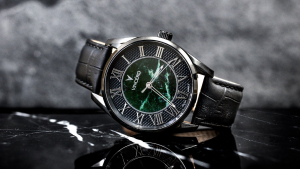 San Diego-based company, Vincero, however, has forged a mission to deliver quality watches at fair prices. Your everyday watch doesn’t need to lack elegance. Made with a surgical grade stainless steel top and scratch-resistant sapphire coated glass, this watch demonstrates the quality and sophistication Vincero produces. Marble was popularized by the Ancient Romans and Greeks to demonstrate their power and dominance. Each watch in The Marble collection channels this ancient wisdom with a bold style intended to empower the wearer. 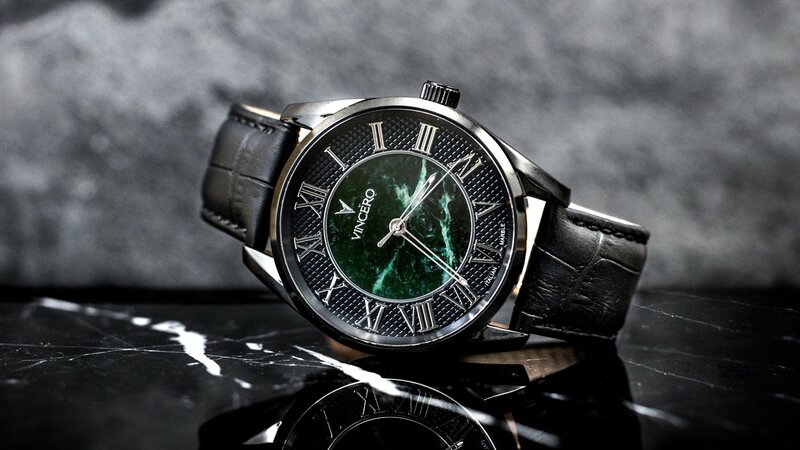 With a Roman numeral dial and unique marble face, each piece tells its own story.